Born at Patjantja, south-west of Lake Mackay c.1930 Willy was raised by his father's brother, Charlie Tarawa Tjungurrayi, who was one of the founding members of the Western Desert pictorial movement. The younger brother of Yala Yala Gibbs Tjungurrayi, It was his uncle Charlie's camels and assistance which eventually brought the family and other Pintupi people to Haasts Bluff in December 1956 and from there eventually on to Papunya. In June of 1974 Willy participated in a visit to Yayayi, Kulkuta and Yawalyuru sponsored by the Australian Institute for Aboriginal Studies, an event that also included his brother Yala Yala, John Tjakamarra, George Yapa Tjangala along with others. 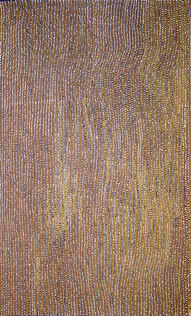 Willy began painting for Papunya Tula Artists in 1976 and joined the move back to the Pintupi homelands during the early '80s. 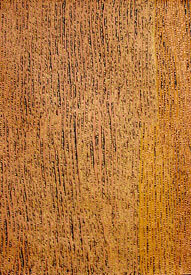 He has since emerged as one of the most well known senior Pintupi painters. He also helped raise the artist Joseph Tjapaltjarri, who was only a boy when brought into Papunya by the Northern Territory Welfare Branch patrols in the 1960's. He now lives at Walungurru (Kintore), his land lying to the south west of Papunya. He paints the sandhill country north of Kirrikurra, as well as Tingari story.